Two ships under the Tanzanian flag caught fire in the Kerch Strait near Crimea on Monday evening, according to Russia's state news agency TASS, citing the Russian Maritime Agency. 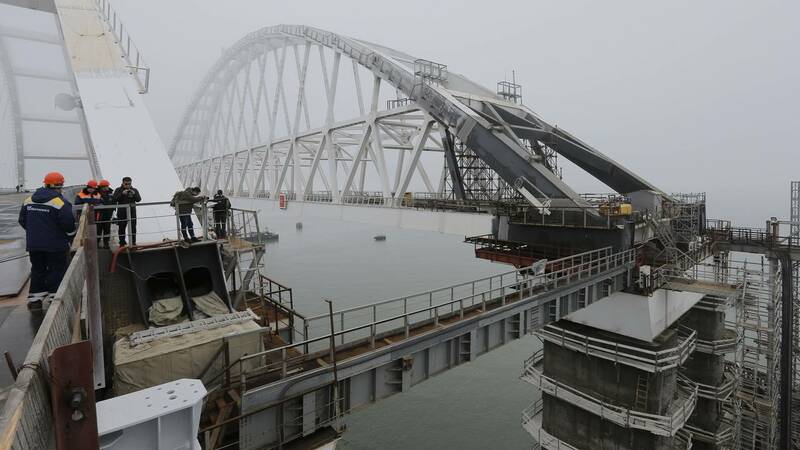 (CNN) - At least 10 people died after two ships under the Tanzanian flag caught fire in the Kerch Strait near Crimea on Monday evening, according to Russia's state news agency TASS, citing the Russian Maritime Agency. A rescue operation is underway and crew members jumped into the waters to escape the flames, Russia's transport ministry told Reuters. The ministry added that both ships had a total of 31 crew members, including Indian and Turkish citizens. Tensions escalated around the Kerch Strait late last year. On November 25, Russian and Ukrainian vessels engaged in a confrontation, during which Russia rammed and fired on Ukrainian naval vessels, subsequently capturing three ships and detaining 24 service members. In response, Ukraine imposed martial law for 30 days in several regions around the country and barred entry to male Russian nationals aged 16 to 60 for the duration of the state of emergency. On January 16, a Moscow court extended the custody of all the detained Ukrainian sailors for three months, Russian state news agency TASS reported.